Authorized Retail Dealer of a wide range of products which include hp dl60 gen9 intel xeon processor, hp intel xeon 2.4 ghz server processor, hp dl80 gen9 kit server processor, hp dl80 gen9 intel xeon processor, hp 1.9ghz g9 server processor and hp dl180 g9 1.6ghz server processor. 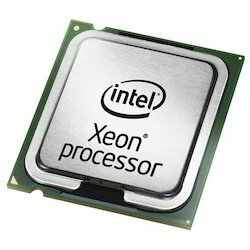 We are leading manufacturer of HP DL60 Gen9 Intel Xeon Processor. We offer to our client a wide range of HP Intel Xeon 2.4 GHz Server Processor. Our organization is topmost provider of HP DL80 Gen9 Kit Server Processor to our customers. We provide to our client a wide range of HP DL80 Gen9 Intel Xeon Processor. We offer to our client a wide range of HP 1.9GHz G9 Server Processor. We are leading manufacture of HP DL180 G9 1.6GHz Server Processor. We provide to our client a wide range of HP Intel Xeon 2.4GHz DL180 G9 Processor. Our organization is topmost provider of HP 150 Gen9 Intel Xeon Server Processor to our customers. HP Intel Xeon 1.9 GHz Processor represent a broad product line to meet a range of demanding performance and energy efficiency requirements for compute-intensive embedded, storage, and communications applications. Looking for HP Server Processor ?